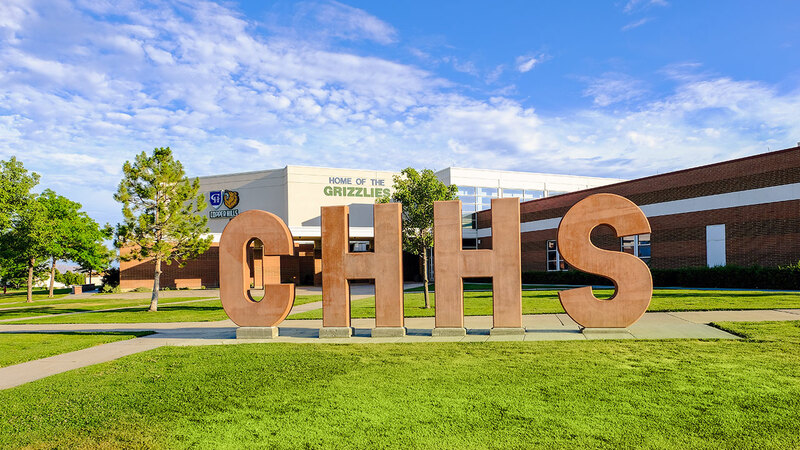 Copper Hills High School is situated just east of the Oquirrh Mountains in the southwest corner of the Salt Lake Valley. This modern educational facility opened its doors in the fall of 1995 and currently serves over 2,500 students. CHHS is proud to offer a clean, safe, and inviting educational environment focused on the continued improvement of student learning. The school’s comprehensive improvement efforts are data-driven and reflect the interests and concerns of each stakeholder group. Copper Hills features the district’s most progressive community approach to public education and has since established itself as a model-school for the study of smaller learning communities. Dedicated teachers, counselors, and administrators at CHHS work diligently to prepare graduates with the skills necessary to communicate clearly, work collaboratively, and think critically in today’s competitive workforce. Copper Hills High School is pleased to serve 2,506 students representative of an ethnically diverse community. Enrollment is expected to increase over the next several years as land continues to be developed to the west. The school operates on a rotating A/B block schedule consisting of 84 minute class periods. This modified eight period schedule provides the opportunity for students to earn additional elective credits. The teacher/pupil ratio is 28.5 although actual class sizes may vary. CHHS serves nutritious meals for breakfast and lunch daily. Free and reduced-price lunches are also available to those who qualify. The special education team is committed to providing exceptional service for all students with special needs. Copper Hills welcomes parent volunteers and values relationships built with the local business community. The Jordan Applied Technology Center is just a short drive from campus and offers hands-on technical training in a variety of vocations. CHHS is proud to offer 38 courses where students may generate college credit through an AP Exam or Concurrent Enrollment. Copper Hills maintains the district’s highest AP pass ratio. Several CHHS students/organizations/teams have been recognized at both state and national levels. The Student Assessment of Growth and Excellence (SAGE) is a collection of computer-adaptive assessments given to Utah students beginning in grade 3. SAGE assessments provide questions that assess students’ ability to apply higher-order thinking skills and better emulate real tasks students may encounter in education and in life. SAGE assessments were developed through a joint effort on the part of Utah teachers, parents, test development experts, and the Utah State Board of Education. SAGE assessments provide information to assist in determining students’ educational progress towards being ready for college and careers upon completion of secondary school. School Accountability Report Cards are issued for each public school once a year by the State of Utah. The 2017-18 school year marks the first report card under this new accountability system. Elementary and middle school report cards have four main grade categories: achievement, growth, English learner progress, and growth of the lowest 25%. High schools have one additional grade category entitled postsecondary readiness. For the 2017-18 school year, achievement and growth scores are calculated from the statewide end-of-year SAGE assessment. In future years, achievement and growth will be calculated from the new Readiness. Improvement. Success. Empowerment. (RISE) assessment for grades 3-8 and the Utah Aspire Plus assessment for grades 9-10. The English learner progress category score is calculated from the annual administration of the WIDA test, which assesses students’ language proficiency in English. For high schools, the postsecondary readiness score is calculated from 11th grade performance on the ACT, advanced coursework performance, and graduation rates. The state’s School Accountability Report Cards are intended to inform educators, parents, and community stakeholders about school performance as they work collaboratively to improve student outcomes. The ACT includes testing in the areas of Math, Science, Reading and English. Scale scores range from 1 (low) to 36 (high) for each of the four tests and for the Composite. The Composite score is the average of the four test scores, rounded to the nearest whole number. Advanced Placement classes are college-level classes offered at the high school campus. Advanced Placement is a national program administered by the College Board. Many colleges and universities around the nation award credit based on scores from the AP Exams.